Jill Duggar and Derick Dillard finally introduced their baby boy to the world on Tuesday in a video announcement via social media. And it turns out that besides being unique, the name they chose — Israel David Dillard — has a lot of special meaning to the young couple. To most, it probably looks like the deeply religious new parents chose a biblical name to represent their faith. “Israel” is the biblical Holy Land, and the word in Hebrew means a number of things: “May God prevail. He struggles with God. God perseveres; contends. In the bible when Jacob was in his nineties as a token of blessing God changed his name to Israel,” according to E! News. But for Jill and Derick, the name means even more: Israel has always had a special meaning to the pair because it’s where Derick bought Jill’s engagement ring. Those who have watched 19 Kids and Counting will already know that Jill and Derick began their courtship long-distance. While Derick was in Israel, he told ABC during an interview shortly after the couple became engaged, he realized it was the perfect place to find the perfect ring. 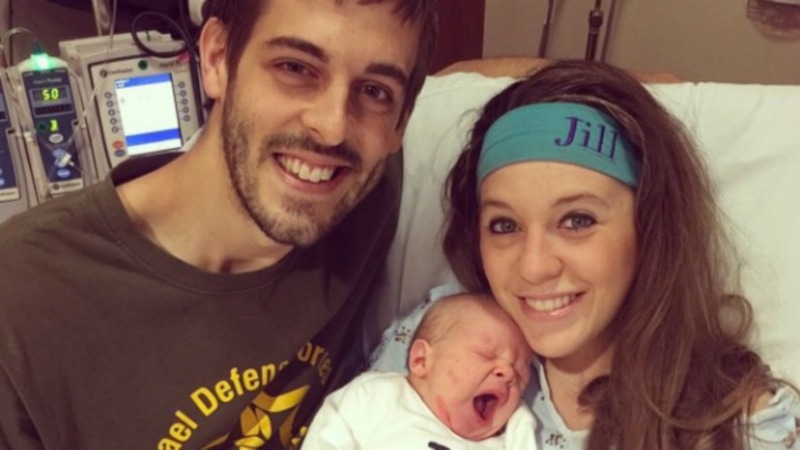 What do you think of Jill and Derick’s baby name? Cute or cringe-worthy? Head down to the comments and let us know what you think.